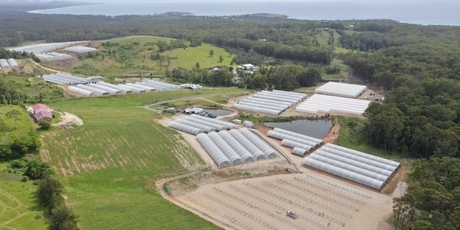 Flavorite, one of the largest glasshouse fresh producers in Australia, is known for its tomatoes, capsicums, eggplants and cucumbers. A company started by two close mates has reached international supermarkets over the past decades. Now, growing into the blueberry market, Flavorite is projecting an increase of over 40 % in the coming years. 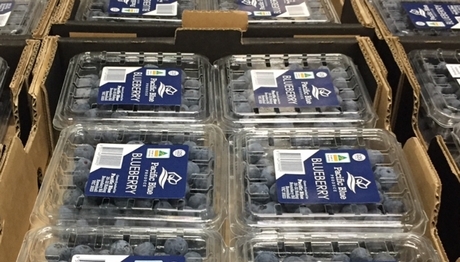 Pacific Blue Produce, a collaboration between Flavorite and some of the top blueberry growers on the east coast, has presented this market opportunity. "The key standout, as with all Flavorite products, is the quality of the fruit", the team explains. "We try to partner with the top growers and establish facilities closer to these farms to bring fruit grading, sorting, packaging all under one roof. This also allows cold-chain continuity and ensures the quality of fruit stays premium and flavour remains intact. The pack-house also ensures assurance by engaging a quality team on site." "Direct dispatch from this facility to our key supermarkets allows fresher fruit to be in stores with an increased shelf life", they continue. Pacific Blue is also looking at tackling the fragmented supply chain and inconsistency of supply. Across the grower network the company is looking at expanding the varieties they are planting to ensure availability through the year.